A large wooden porthole displays a hidden world. 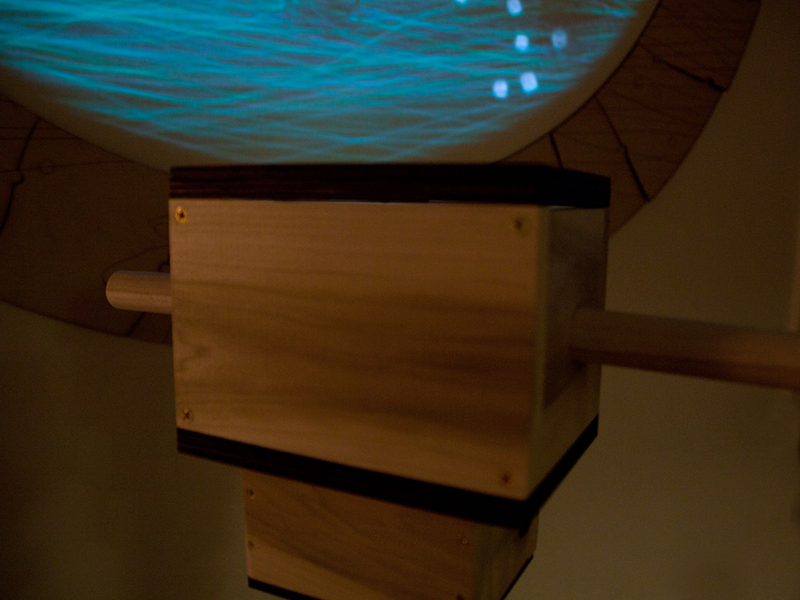 Mushroom spores, particles and globes flow and respond as people pass by. 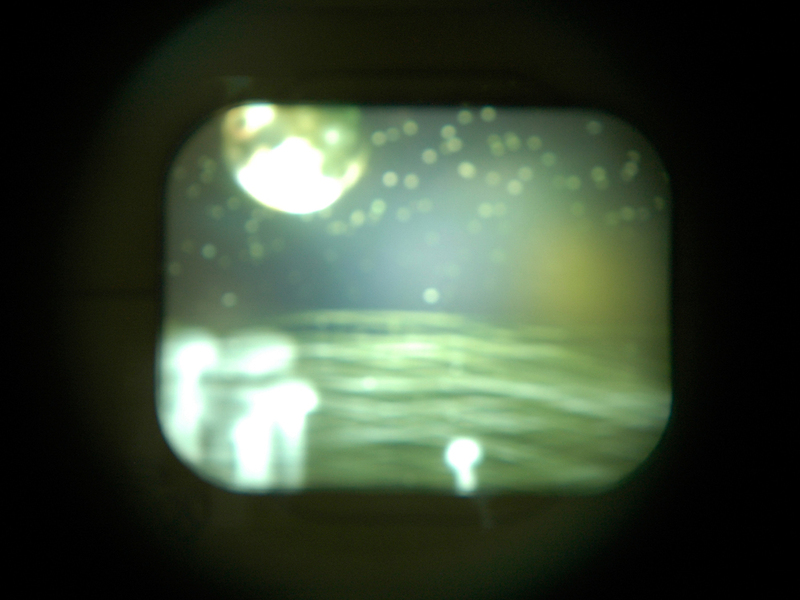 To the side is a small viewing scope showing an alternate version of this world, that when rotated, shifts time and perspective. Common toadstools and mushrooms are actually the fruiting bodies of extensive webs of threadlike mycelium concealed in the soil. 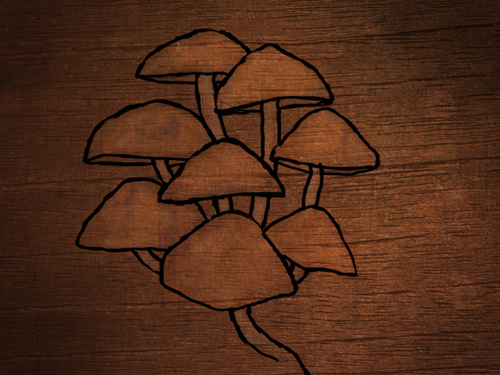 Lacking chlorophyll and classified separately from green plants, fungi are known as The Hidden Kingdom. This installation reveals a mysterious fungal organism, a swampy sea of life that shares our physical space. USER EXPERIENCE: A person walks up towards a large porthole on the wall, made up of interlocking wooden puzzle pieces, etched with drawings. 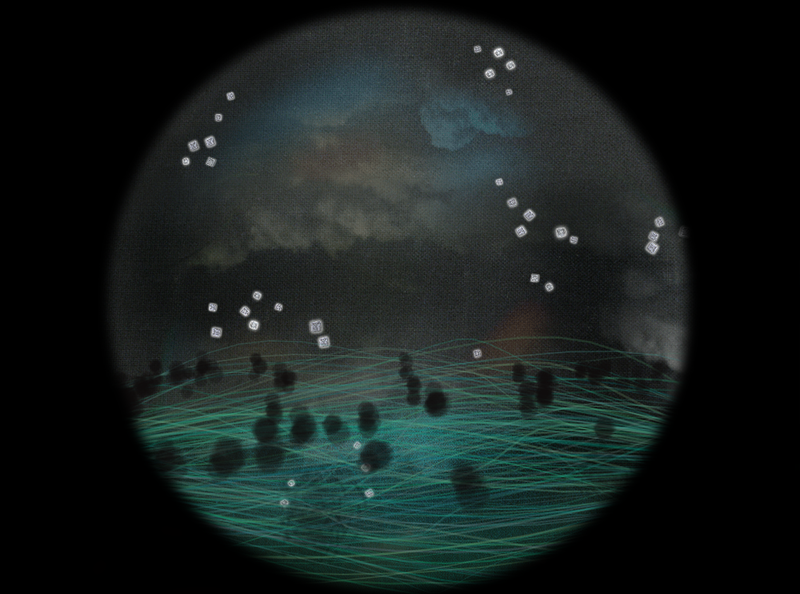 Within the porthole is a glowing world of floating mushroom globes, waving masses of mycelial strands and a particle system of flocking oxalate calcium crystals. The scene mirrors our physical space and as the person moves about, a trail of bursting globes reflects her movements, as if she is standing in the stream she sees in front of her. Standing on the floor near the porthole is a small viewing box with handles, perched on a tube, like a periscope, but coming up from the ground. She steps up to this viewer, and grasping the handles, bends over to peer into the lens on top. 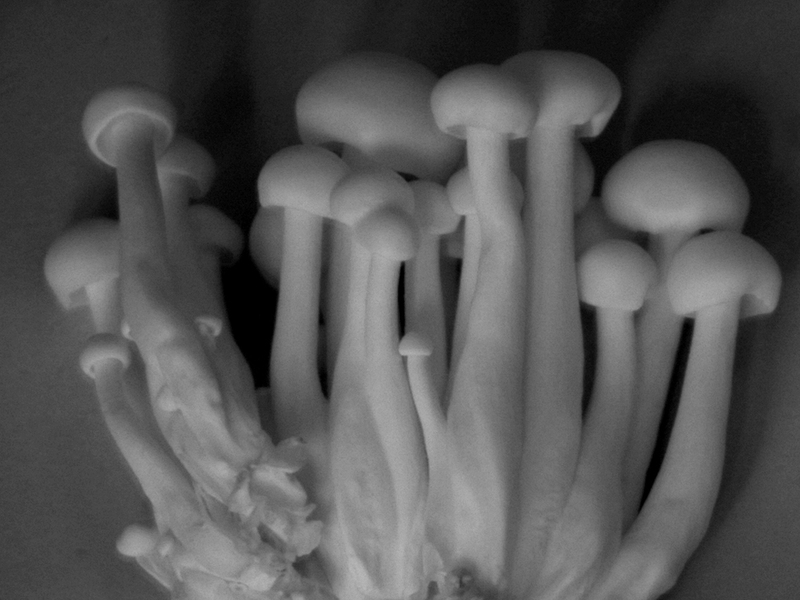 She sees a tiny scene with floating particles and ghostly infrared mushrooms beneath a large luminous moon. 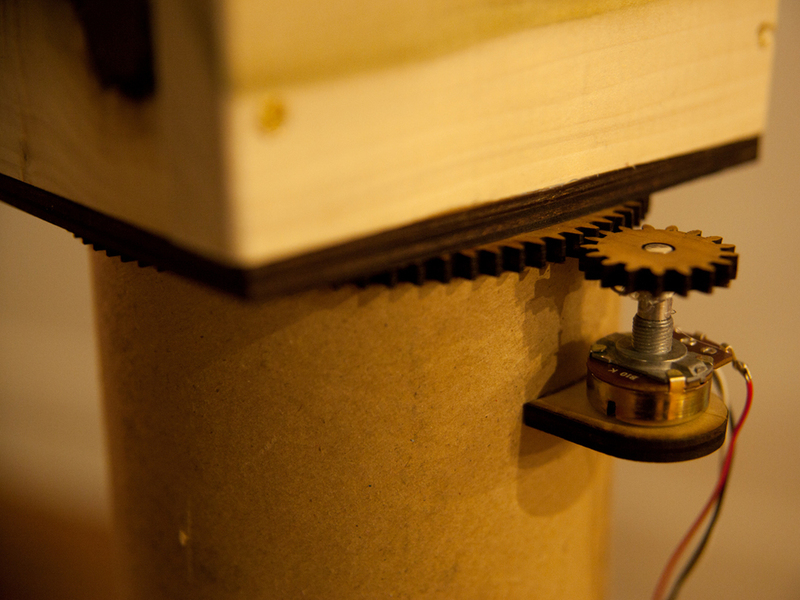 Holding the handles, she rotates the mechanism and can look around at the scene within. Unbeknownst to her, she is also rotating the much larger world seen in the porthole on the wall. Other people viewing the larger installation see the porthole world rotating on a lateral axis as the periscope is turned, as if the whole installation is in a giant boat rocking on the waves.